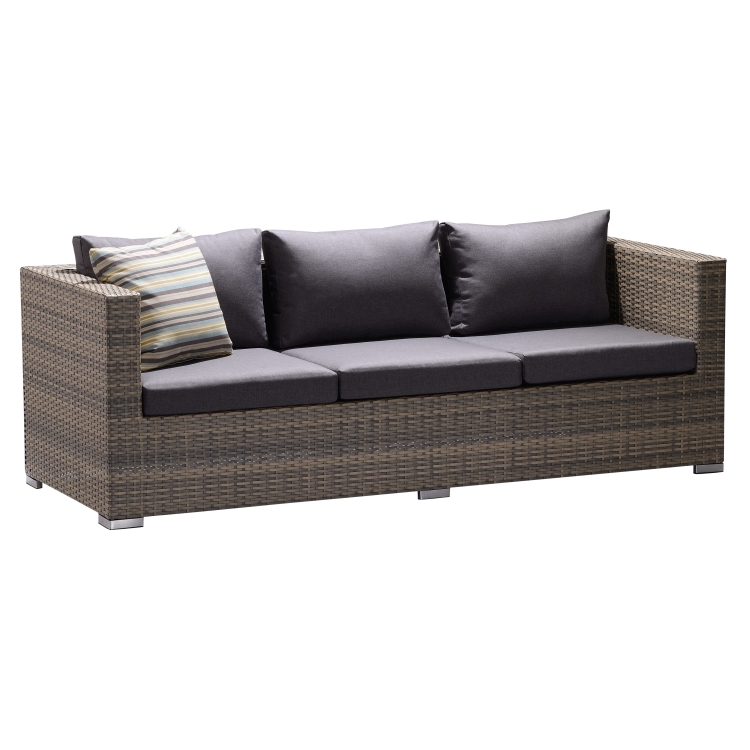 The Armen Living Nina contemporary 3-piece sectional outdoor set is the perfect enhancement to the modern patio aesthetic. 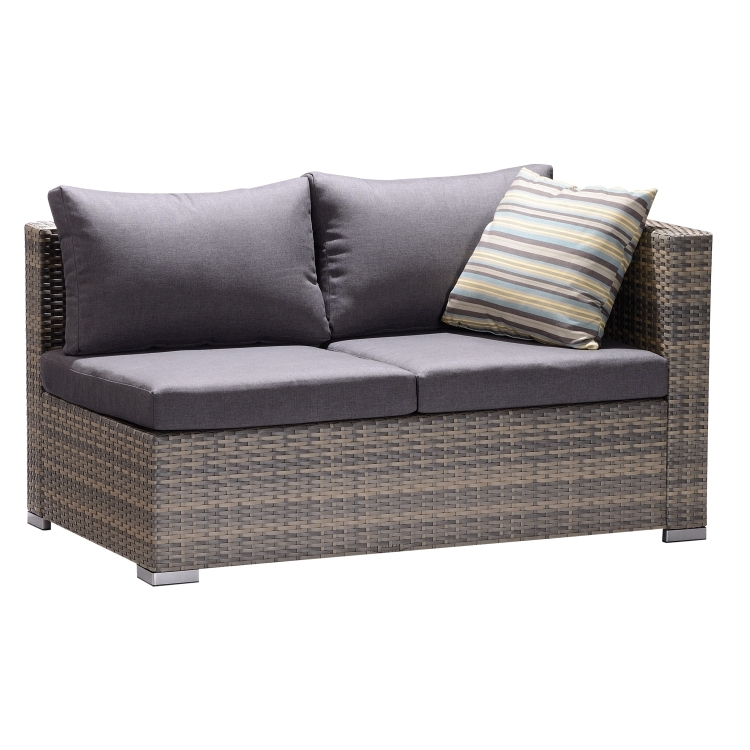 The Nina includes a chic and comfortable double corner sofa, a stylish three-seater sofa, and a coffee table. Each sofa’s cushioned back and seat are upholstered in dark brown fabric and come with doll cotton accent pillows for added flare and comfort. 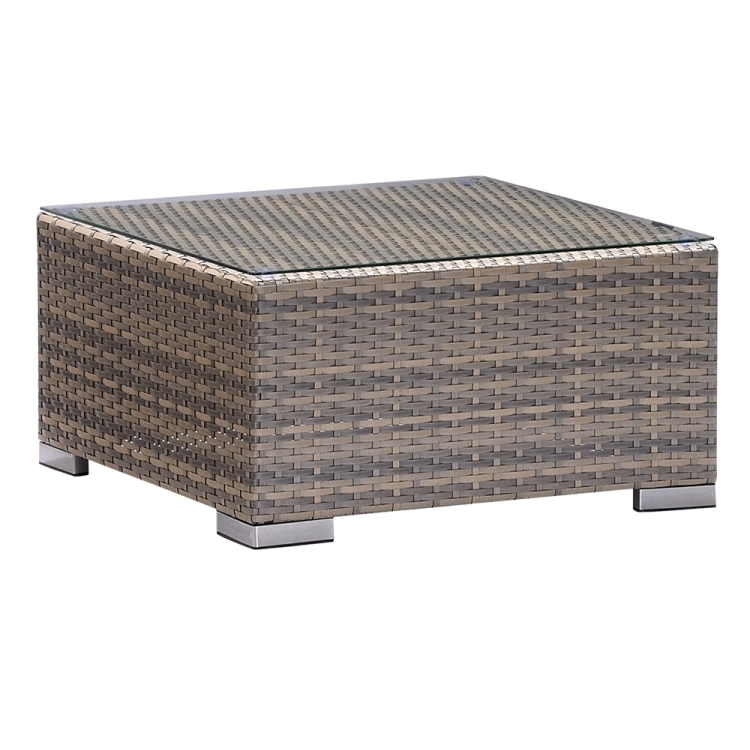 The coffee table is topped with high quality transparent glass and sports the same aluminum frame and brown rattan weave overlay as the sofas. 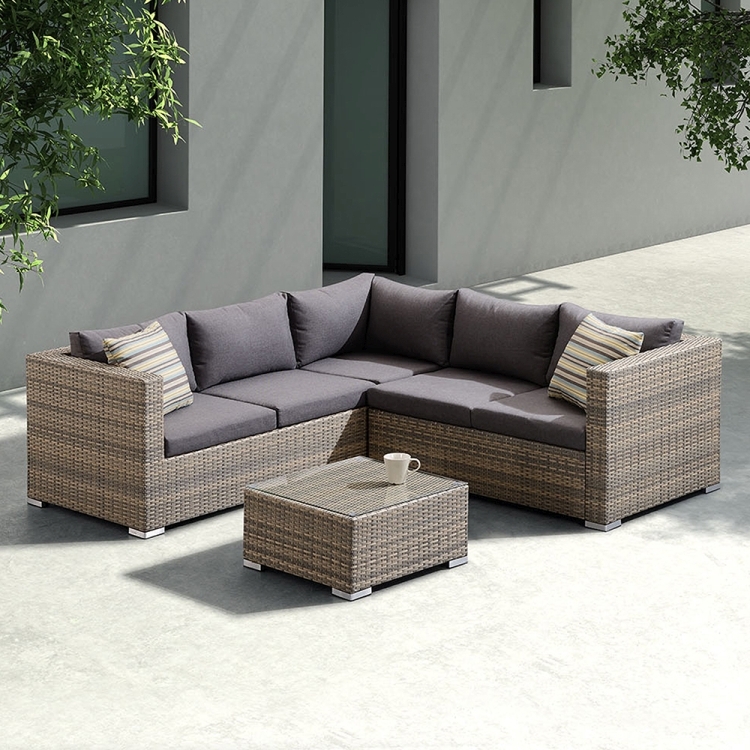 The Nina set is a truly luxurious addition to the contemporary home and while ideal for patio use, the set’s versatility and style allow it to blend perfectly in any room of the house.